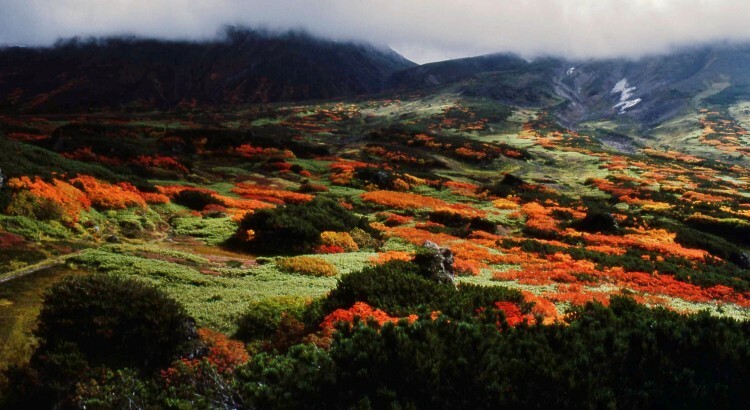 A look at some of Japan’s finest Alpine plants. Japan is host to one of the most botanically rich as well as diverse floras in the world and fortunately many of its endemic genera can be easily grown in British gardens. I was privileged to travel with an AGS seed-collecting trip centered mainly on the island of Hokkaido in the autumn. I will be showing some pictures of the spectacular autumn-colour in the mountains with some pictures of familiar alpine flowers given to me by Mr. Atsushi Kuyama. Plants featured include: many ericaceous species, Sorbus matsmurae, Shortia soldanelloides and Dicentra peregrina.